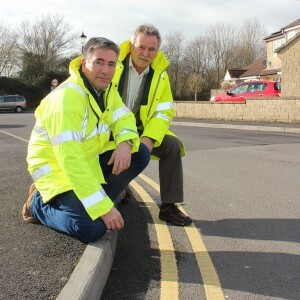 A big team effort by councillors at Parish, District and County level has finally prevailed and we were able to secure proper enforceable parking restrictions that now mean the local roads function better during football matches. Buses run, traffic flows and children can see and be seen at junctions. Unfortunately some visiting fans still seem willing to “fling the car down and pay a fine” (it’s only £2 to park at YTFC guys, why not help the club?). There is also a little misapprehension regarding “waiting” by parents during the school run, but things are generally better. We still have major problems with residential access through Thorne Lane/Balls Hill. These will be properly resolved by the new junction at Western Avenue (2016? ), but SSDC is doing some things with verges/hedges which we hope will help temporarily.